ACTION hosts traveling guest artists from time to time in our 13'x13' flex space. Artists in residence have 24-hour access to the studio, our common areas: kitchen, living room (projector, VCR/DVD player, Nintendo! ), and take part in our small art community for a week or two. If you're visiting Portland and need a temporary work space, give us a shout! Ping is and artist and illustrator living and working in New York City. She was invited as a special guest speaker for Linework NW 2016 and worked on paintings in our guest space during her short stay. 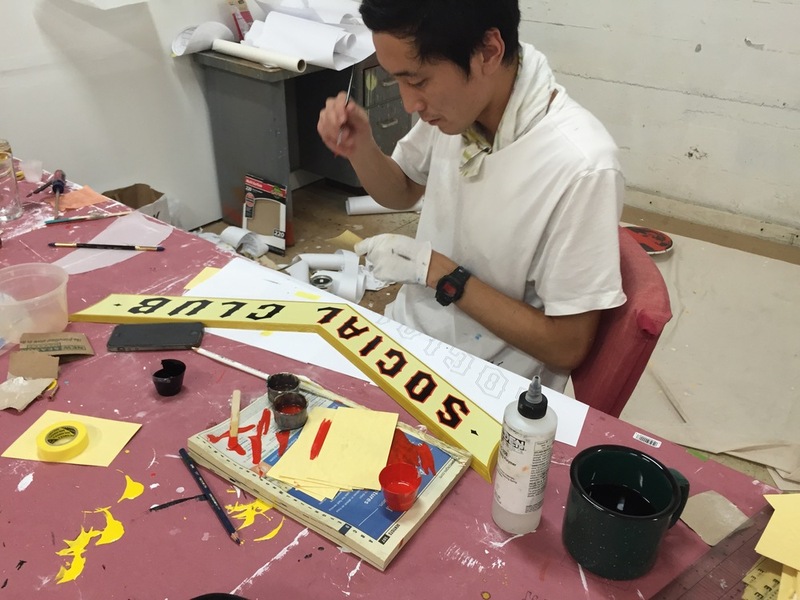 Originally from Japan, Kenji is a sign painter working in Boston, MA. 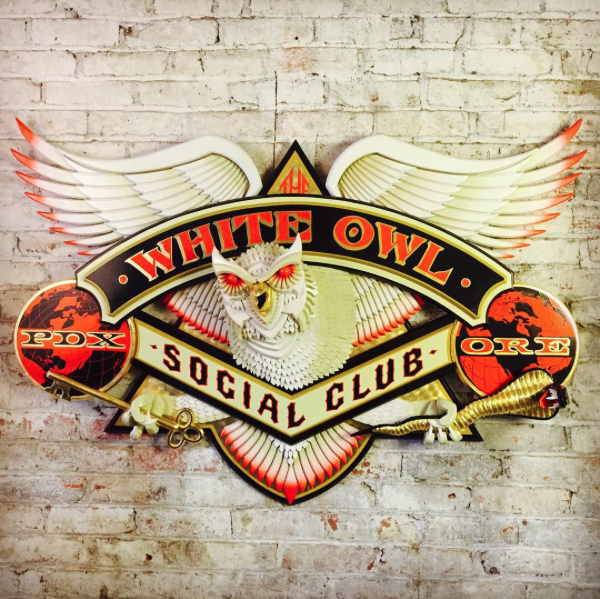 He was invited to come to Portland to create signage for the revamp of White Owl Social Club. He collaborated with sculptor AJ Fosik on several signs and sculptural pieces and spent a week-long residency in our guest space.